Gingivitis is inflammation of the gums and is a term used for early gum or periodontal disease. Generally, it is caused by long-term exposure to the sticky but colorless film that forms on your teeth from eating food or drinking liquids. In the dental world, this film is referred to as plaque. This sticky film consists of harmful bacteria and other materials, which reside on your gums and, overtime, cause infections. There are early warning signs, which may include tender or painful swollen gums, minor bleeding when brushing or flossing, or chronic bad breath. Unfortunately, you may still have gingivitis without exhibiting warning signs and so it goes unnoticed. These infections can in time cause your gums to detach from your teeth, which may cause further infection, decay, and loss of teeth. Once teeth are lost you may need implants or dentures to restore functionality. The common cause of tooth loss in adults is gum disease and, in many cases, it is totally avoidable. If gingivitis or gum disease goes untreated, you may incur more serious problems such as periodontal disease, bone loss or abscesses. These conditions can be treated in a variety of ways. One such method involves using instruments to clean and scrape below the gum line to smooth out the roots, called root planning. This procedure is designed to help the gums reattach themselves to the tooth structure. 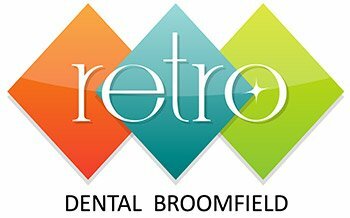 Another option we utilize at Retro Dental Broomfield is a new technology called Waterlase. Unlike traditional instruments to help reattach gums to teeth, the Waterlase is a true all-tissue laser. It uses a patented spray of water to clean soft tissue and bone without heat, providing much more success with gums being able to heal after reattaching themselves to the teeth they support. Patients comment that there is less swelling and post-op sensitivity with Waterlase for much more pleasant results.